Look around you at your colleagues. Would you know if any of them were suffering with stress, anxiety or depression? Do you think they would be comfortable talking about it? Would you be comfortable talking about any issues you had? Progress has been made and awareness of mental health issues has increased. But, we are still a long way from having a construction workforce that would honestly and universally answer ‘yes’ to all of those questions. The culture of the construction industry has worked against good mental health. The industry puts a lot of pressure on its workforce. Anti-social hours, travelling long distances to deliver projects, and pressure to deliver can make for a toxic work environment. Any insecurity over long-term work just adds to the mix. With greater awareness and flexibility we can alleviate some of those pressures. But they won’t ever disappear completely. This is why we have to be unrelenting in working to change the culture around mental health. The statistics are truly shocking. A male construction employee is three times more likely to commit suicide than a similar employee in any other sector. According to the Construction News Mind Matters survey, one in four construction workers have considered suicide. Unlike physical illness or injury, we don’t know what’s going on in someone’s mind. So we have to help people spot symptoms in their own and colleagues’ behaviour. And, above all, we have to create a work environment where people are prepared to open up about how they are feeling. 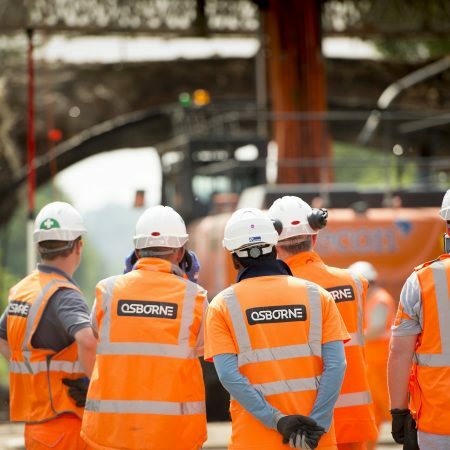 Osborne is one of six construction companies that took part in the Mental Health charity Mind’s Workplace Wellbeing Index last year, reflecting our belief in leading from the front. If business leaders aren’t prepared to talk openly when we face difficulties in our personal or professional lives, we can hardly expect it from our teams. We all have issues with our mental health in varying degrees at different times. It’s important to recognise it and help each other to cope when we need it. Part of the solution is also to make people feel valued. We aren’t just construction employees- we are the people who build the schools, homes, hospitals and infrastructure that our society depends on. That’s worth recognising and celebrating.